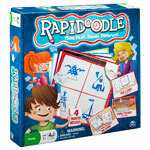 Rapidoodle is the fast-moving picture drawing game where drawing different wins! When creativity is king, will your doodles be one-of-a-kind? Think fast. Doodle different. 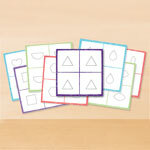 You’ve got four basic shapes and only ONE MINUTE – can you doodle something different over each one? 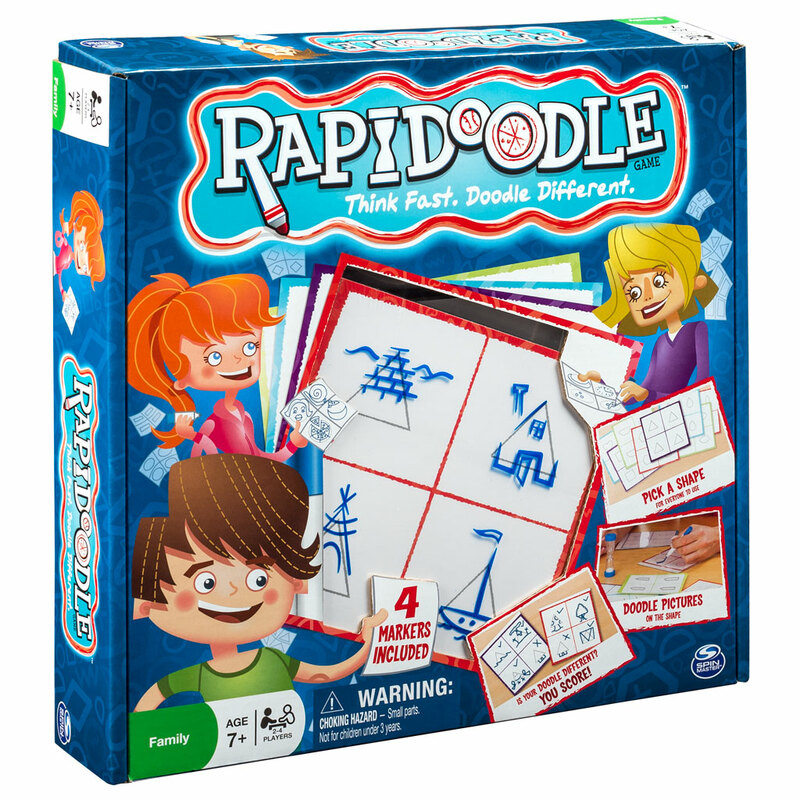 Rapidoodle is the fast-moving picture drawing game where drawing different wins! 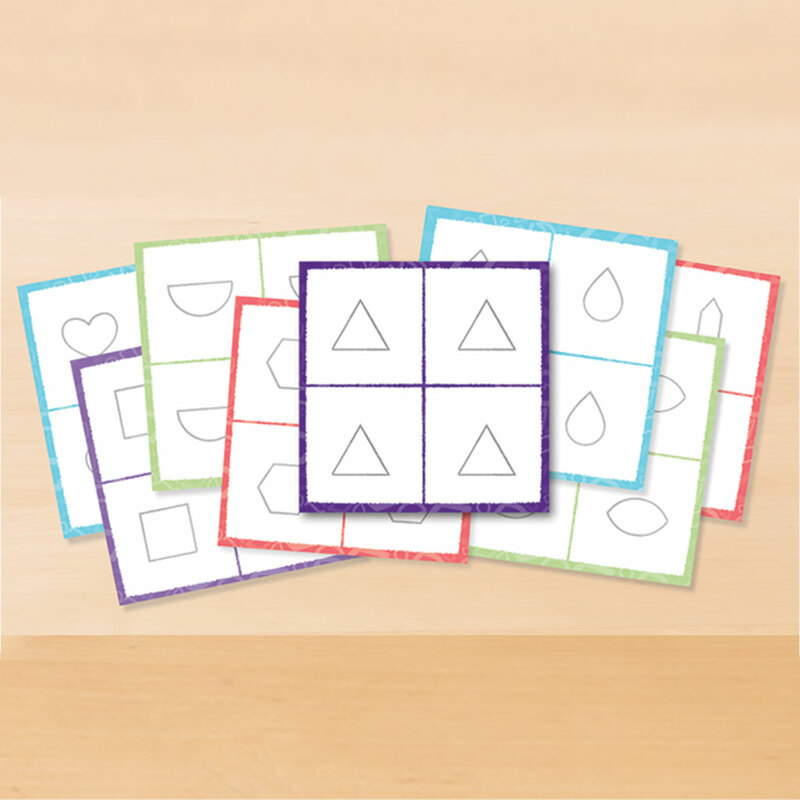 Players all start with the same four shapes, then doodle over them to create four different pictures. If no one else doodled the same picture, you score! Rapidoodle challenges players to be original while fighting the clock. When creativity is king, will your doodles be one-of-a-kind? The more creative you are the more you win! 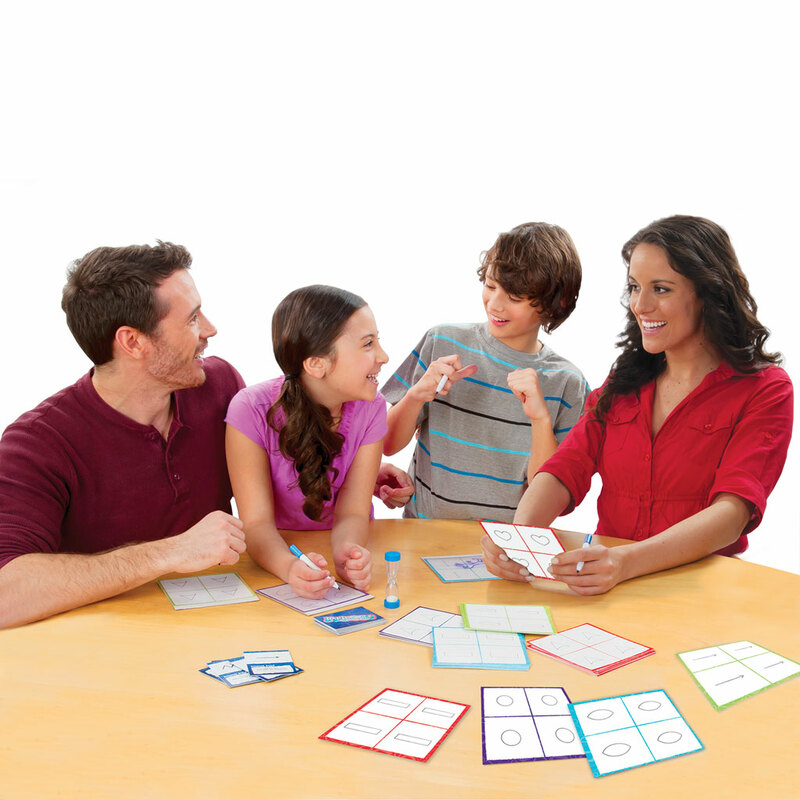 Bring home fast-paced doodling fun for the whole family with Rapidoodle!